1A. Briefly describe the first (Project One) of the three projects. This project 1 should have significantly impacted youth since 1996. "So too shall the Phoenix overcome the flame and rise from the ashes!" Like the mythical Phoenix, the Boys and Girls Club of the Lower Naugatuck Valley shall rise again. The community joined together to build a new 30,000 sq. ft. Boys and Girls Club to serve all school age children from the community. 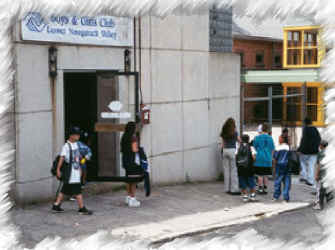 The club will replace one destroyed by fire in 1991. A major capital campaign which raised more than $4.5 million began in January 1995. That campaign is almost complete and the new facility will open May 1, 1999. The Club, which targets children from disadvantaged backgrounds, expects an annual membership of 1500 and more than 300 children per day in its new facility. The facility will have a gymnasium, woodshop, ceramics studio, library and computer center, as well as three separate game rooms, a teen lounge, cafeteria and food court, and Discovery Room for children with special needs. The new club house will provide a safe place for children and the opportunity to develop physical skills and improve their grades in school. It provides a haven for the children of working parents, knowing their children are being taken care of in a positive, inexpensive developmental program. 1B. What prompted the community to undertake this project? The Boys & Girls Club had been one of the leading youth development programs in the Valley for more than 30 years, but it took a tragedy for the community to realize how important it was to our children and families. On Thursday, April 11, 1991, fire completely destroyed the 24,000 square foot facility. The club then had a membership of 972 children and a daily attendance of 233 children. With school vacation week beginning on Monday, April 15th, the urgency to have a facility of some type ready for all the children of those working parents was of paramount concern. While the timbers were still smoldering, the Board of Directors held a special meeting the next morning. From that "war room" literally hundreds of calls were made searching for a temporary location. At noon, that day, it was found that St. Joseph’s Church had a hall that could be used during the school vacation week. Ads were placed in papers and on radio announcing the temporary location. That Monday, April 15, at 8:00 am with what little could be salvaged from the fire, the temporary club was opened. 174 children showed up. The need was evident. 1C. What attempts were made to involve citizens and youth directly affected by the project in program development and to what extent were they successful? How were diverse segments of the population involved in the decision-making process? What general difficulties were encountered? Raising more than $4.5 million in itself indicates the magnitude of work and community participation, especially when the feasibility study indicated only $3 million could be raised. The involvement goes beyond solicitors’ efforts in raising funds. Before the campaign started, hundreds of volunteers had to build a clubhouse that had to be ready by April 22, the first Monday after the school vacation. The Building Inspector and the Fire Marshall drove from site to site with the search committee, evaluating more than 20 locations. On Friday, April 19th, a site was approved. Literally hundreds of volunteers worked around the clock, Friday, Saturday and Sunday, getting the club ready. Electricians from Seymour, plumbers from Shelton, carpenters from everywhere, alumni, parents, staff and Board Members, cleaned, painted. Contractors and local lumberyards donated thousands of dollars of time, equipment and supplies. All the while, volunteer fire fighters combed the ashes for salvageable equipment. Boys & Girls Clubs throughout the state donated games and volunteers in their trucks delivered and set up all this equipment. As the school busses began delivering children on Monday, the work crew of a Derby sign company finished installing the lighted Boys & Girls Clubs signs they had donated. 1D. What significant impact has this project had on the community? Include quantifiable results as well as changes in the way the community confronts local issues. The search for a new permanent location was a long, arduous process. Finally in 1995 a site was found that met the criteria of size, price and location. It was in the most blighted area in the City of Shelton. An old factory and seven adjacent parcels were bought. The site was immediately leveled starting the redevelopment of downtown Shelton. During those years membership grew, but an interesting phenomena began to occur. 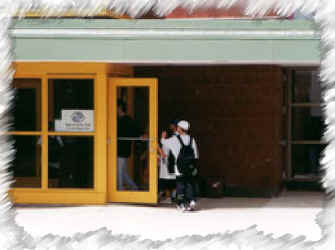 Without a gymnasium, weight room and other high school age specific facilities, teenage membership began to decrease. Homework, computer and ceramics programs grew, while boxing, karate, weight lifting, and teen sports leagues almost vanished. The new 30,000 sq. ft. facility takes advantage of the knowledge we gained these past eight years. The new club will have rooms dedicated to just teens, while the successful programs we created for the younger age groups will be incorporated into the new layout. We expect a 50% increase in youth served by the end of the first year, with the most significant increase in the high school age population. Expanded hours of operation will target those times when juvenile delinquency most occurs, from 3:00 pm to 10:00 pm. 1E. For Project One, list up to five principal groups and organizations involved. Summarize their contribution to the project. 1F. For Project One, identify three individuals who were active leaders. Include individuals from the public, private and non-project sectors.